Hill injured himself two games ago against OU and missed last week’s game vs. WVU. Oklahoma State’s leading rusher on the season, Justice Hill, will miss the team’s regular season finale against TCU in Fort Worth, a source told PFB. Hill has logged 158 carries for 930 yards rushing on the season. He left Bedlam early and did not return after suffering a rib injury on Nov. 10, and did not play the following game — last week — against West Virginia. His availability for OSU’s imminent bowl game also remains in question, the source said. Hill did not walk for Senior Day against West Virginia, but the source believes he’s likely to declare for the NFL Draft and forego his final year of eligibility in college. Sitting out the remainder of the season would allow him to heal from the rib injury and allow him to avoid more serious injury before a professional endeavor. 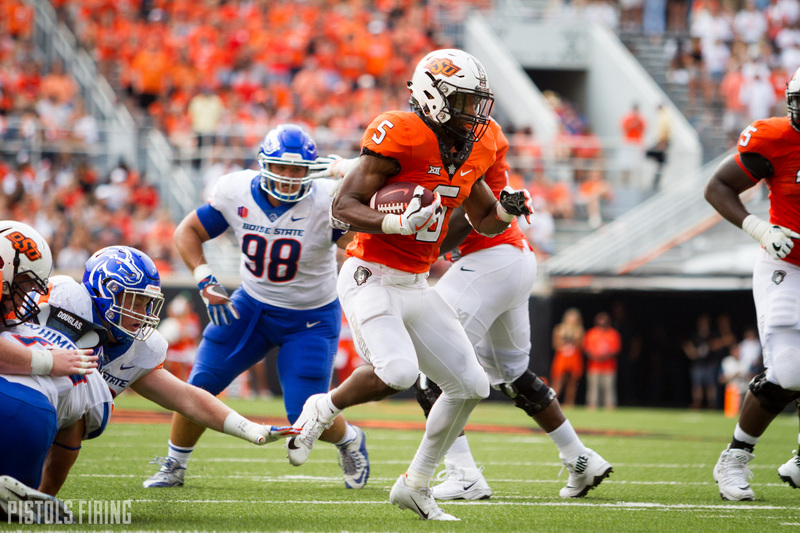 Hill has amassed 3,539 yards rushing and 30 rushing touchdowns in three successful seasons in Stillwater.